In the case of sound recordings, to perform the work publicly by means of a digital audio. 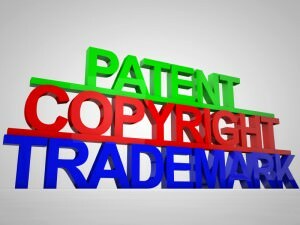 Copyright Infringement law similarly states that anyone who violates the exclusive rights of a copyrighted owner can be judged as infringing on the rights of an owner or copyrighted work. Upon learning and/or discovering a Copyright Infringement, FBI Special Agents and Analysts work closely under the Intellectual Property (IP) Program in the Financial Institution Fraud Unit and/or the Cyber Division at FBI Headquarters to investigate Intellectual Property crimes, including works involving both digital and electronic media. Additionally, FBI Special Agents and Analysts also work closely with the Justice Department and industry-specific organizations and other government agencies that monitor and prosecute civil and criminal violations involving Copyright Infringement. Directory members can be extremely helpful to anyone seeking information or requiring a professional opinion concerning Copyright Infringement protections and/or violations. When looking for an expert related to Copyright Infringement, visitors need only use the website’s search feature, entering the appropriate skill, as well as the interested geographical area to make contact with an FBI specialist using the information provided.